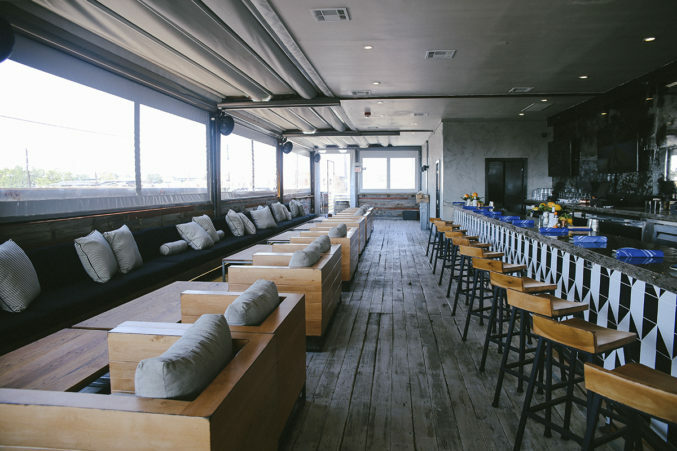 This restaurant and bar is a little bit Deep Ellum grunge and a little bit Uptown chic. The exposed brick walls, concrete floor, and massive Blind Lemon Jefferson poster are representative of the neighborhood, while the sleek black-and-white tiled marble bar and plush seating embody a McKinney Avenue vibe. Standout cocktails include the Beet It Nerd, made with Ron Zacapa rum, brown sugar syrup, beet juice, and lime; and the Babe’s Old Fashioned with bacon fat-infused Rittenhouse rye, chocolate liqueur, and orange bitters. The spacious roof-top bar is the place to be. Cozy up with friends, split a bottle of Dom Pérignon or a pitcher of seasonal sangria, and take in one of the best view of the Dallas skyline in the area.